Waterford tested Munster champions Kerry to the hilt in weather-beaten Killarney, but Jack O'Connor's side still managed to pull off a 0-16 to 0-08 win. Only in the last 15 minutes did Kerry put some daylight between themselves and the Deise to set up a semi-final duel with Tipperary on June 11. Corner-forward Bryan Sheehan landed three early points to settle the Kingdom, but they only led by 0-08 to 0-05 at half-time as Waterford's Stephen Cunningham bagged three of his own. Points from Wayne Hennessy and Ger Power cut the gap to one but Waterford should have been in front by that stage – Kevin Power missed a penalty. Ominously Kerry soon settled again and won through. However, if it was not for the accuracy of skipper Declan O'Sullivan, who struck four points from play, and St Mary's star Sheehan, who ended the afternoon with 0-06 (4f), Kerry would have been in serious trouble. Kerry boss O'Connor admitted to not being happy at all with the performance of his players afterwards as they clearly underestimated the task at hand. Waterford may not have beaten the Kingdom in a championship tie since 1957, but John Kiely's team were nevertheless worthy opponents. Adopting a damage-limitation strategy at times, Waterford worked off a one-man full-forward line when necessary with Gary Hurney going solo and corner-forwards Cunningham and Jason Ryan operating further out the field. Sheehan opened the scoring and the strangely quiet Colm Cooper also fired over as Kerry initially went 0-03 to no score in front. Midfielder Michael Aherne and Ryan managed to reply for the underdogs but the dominance of Darragh O'Se and Kieran Donaghy at midfield allowed Kerry to rattle off five consecutive points. Paul Galvin, Sheehan (0-02), Eamonn Fitzmaurice and O'Sullivan all found their range. But Cunningham sent visiting supporters into dream land when he notched three rapid-fire points to pull the Deise within three by the break. Drama followed early in the second half when Waterford earned a penalty after Hurney was felled. Centre-forward Power stepped up to take it but Kerry 'keeper Diarmuid Murphy pushed the shot away. Wayne Hennessy still had time to knock the rebound over for a point and wing-forward Ger Power added another to cut the deficit to just 0-07 to 0-08. Were the 2,925-strong crowd about to witness one of the biggest shocks in recent championship history? 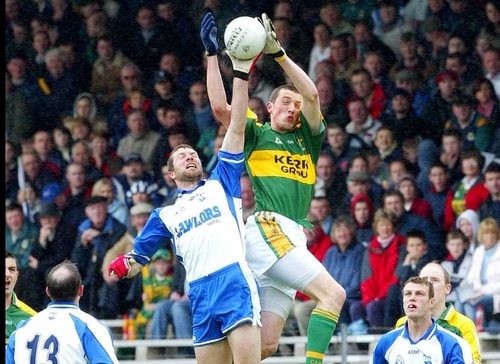 The answer was a resounding no as the influential Sheehan regained Kerry's old confidence with a 48th-minute point and Waterford frustratingly ran their wides tally up to 10. Darren O'Sullivan and Ronan O'Connor also came off the bench to good effect for Kerry, who managed to race out to a double scores triumph with points from Galvin, Cooper (free), Sheehan (0-02 (2f)) and substitute Paul O’Connor. 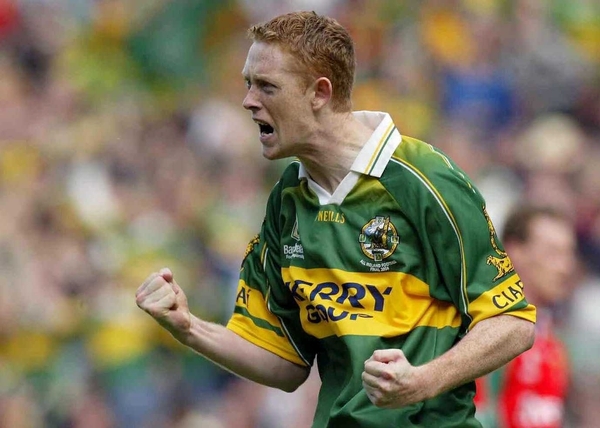 KERRY: D Murphy; A O'Mahony, M O'Se, T O'Sullivan; T O'Se, S Moynihan, M Lyons; D O'Se, K Donaghy; P Galvin (0-02), E Fitzmaurice (0-01), E Brosnan; C Cooper (0-2 (2f)), Declan O'Sullivan (0-04), B Sheehan (0-06 (4f)). Subs used: M McCarthy for T O'Se, Darren O'Sullivan for Brosnan, R O'Connor for Fitzmaurice, P O'Connor (0-01) for Cooper, T Griffin for A O'Mahony. WATERFORD: T Wall; E Walsh, J Phelan, S Briggs; B Wall, E Rockett, P Ogle; A Aherne, M Aherne (0-01); A Hobbard, K Power, G Power (0-01); S Cunningham (0-03 (3f)), G Hurney (0-01), J Ryan (0-01). Subs used: W Hennessy (0-01) for A Aherne, L O'Lionnain for K Power, J Hurney for Hobbard.